Collins Booksellers - Best ever swimming pool games by Peter Hudson, 9781925271669. Buy this book online. All you need for hours of fun is a swimming pool and this book.The Best Ever Swimming Pool Games explains how to play over 60 games, which require little or no equipment. There are games for as few as two players and games for large teams.This brightly illustrated book is a great resource for families, summer parties, schools and swimming instructors. 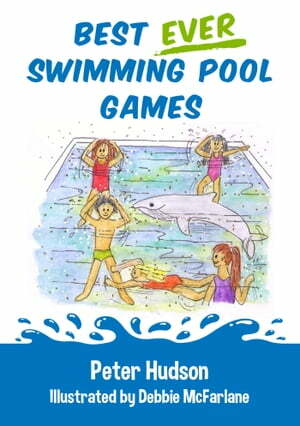 Kids and adults will agree that there is no better way to exercise, develop water skills and enjoy the time in the water.From traditional games such as "Marco Polo" to other more inventive games such as "Netpune's Treasure" and "Davy Jones's Locker", there are endless summers' worth of fun with this book.